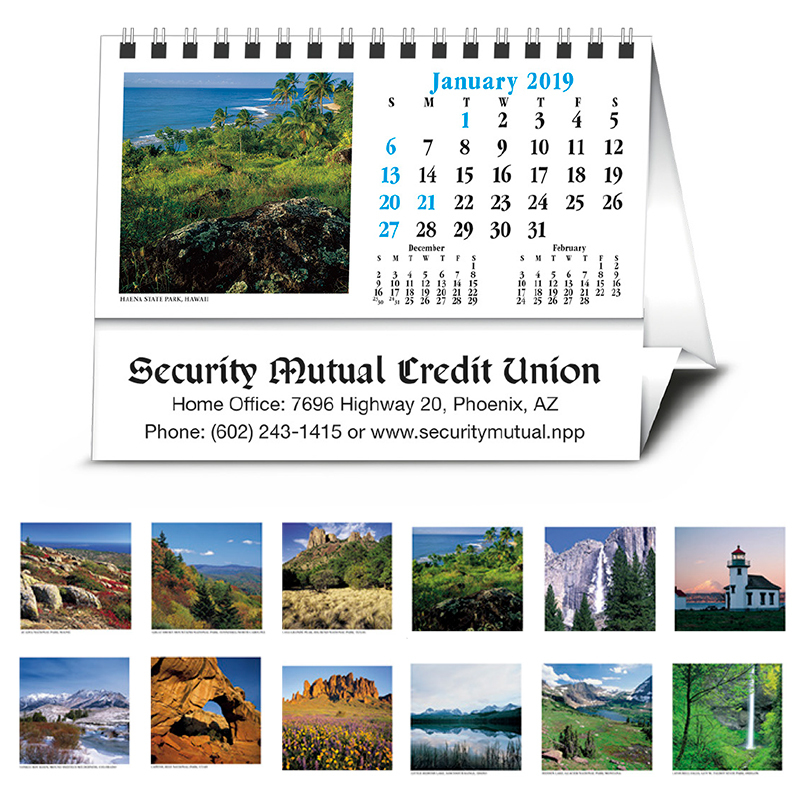 13 Month tent style desk calendar with 12 full color scenic images. The current month is displayed on front and back sides. Imprint is on both sides of tent. 6" X 4 1/4". Envelopes are included in price.